Wimbledon - live stream, odds, results, stats and fixtures! Wimbledon is hosted every year by the All England Lawn Tennis and Croquet club in London. The two week-long event is the only major still held on crass courts, and the 2019 Wimbledon will take place on July 1-14. Wimbledon is one of the four annual Grand Slam tournaments, along with Australian Open, French Open and the US Open. Who will win according to the Wimbledon odds? The winner odds for Wimbledon does usually change quite a lot as the tournament comes closer. There is still quite some time left before the 2019 Wimbledon takes place – but odds are already available, so you can get the idea of which players will be in the battle for the title! 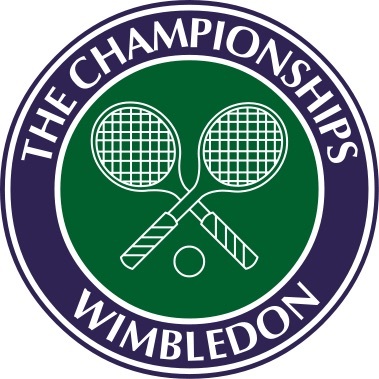 On this page, you’ll find the schedule for Wimbledon 2019, along with all the dates and times. The schedule will be uploaded as soon as it’s available for the upcoming tournament. The schedule is accompanied by statistics from previous matches, in order to help you make as qualifies bets as possible. Wimbledon 2018 will begin on July 1st, and go on until the 14th. When the schedule has been released we will update the page with dates and information about the different stages of the tournament! If you want to watch the Wimbledon this summer, live streaming is what you should go for. Both Unibet and Bet365 will be streaming from Wimbledon, so you can follow the live action there. You’ll find hundreds of hours of live tennis, and it’s all for free. All that’s required from you in order to watch the Wimbledon live streams is that you have an account. You also need to have a positive bank balance to your account. If you fulfill these two simple requirements, you’ll get full access to watch the Wimbledon online! The very first Wimbledon winner was crowned back in 1877, and was called Spencer Gore. Wimbledon back then was just a singles tournament for men, and Gore managed to win the first one. That final had an audience of about 200, a number that has grown significantly in modern times. The single tournament for women was added in 1884, and the Maud Watson was the first winner. During the first years, the tournament used a system called All Comers Round and Challenge Round. That meant that defending champions only had to play one match in order to defend their title. The other player’s competed to get to play against the defending championship. The system made it very easy to win multiple years in a row, and the system was abolished in 1922. William Renshaw (1881-1886) and Martina Navratilova (1982-1987) has the longest winning streaks in Wimbledon history. Björn Borg (1976-1980) and Roger Federer (2003-2007) are next in line with five wins in a row each.